We have both sleeper and standard seat buses available on most routes. We only use reputable, well established bus companies. All buses are air conditioned and provide free water for all passengers, and many of them have toilets and wifi available. 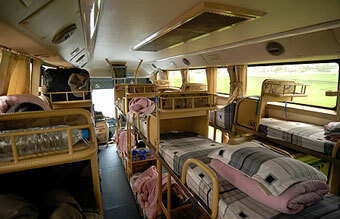 On the sleeper buses, all passengers are provided with a pillow and blanket, free of charge. Where on-bus toilets are not available, then regular comfort breaks will be made. 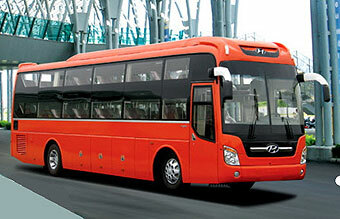 Vietnam Bus Tickets is run by Adventure Nam, well established travel specialists based in Vietnam. The proprieters, Christina and Iain, have been travelling and living in Vietnam for more than twelve years, and now live in Mui Ne. We've travelled the length and breadth of Vietnam, on buses, trains, planes, cars and motorbikes, so we know quite a bit out the place, and how to get around it best! We're very happy to help you get the most out of this wonderful country.